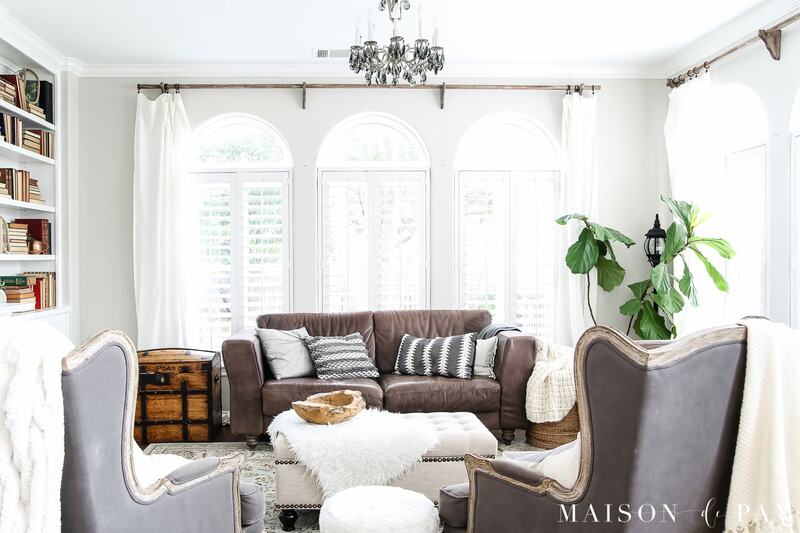 Wondering how to seasonally decorate your living spaces without going to too much trouble? 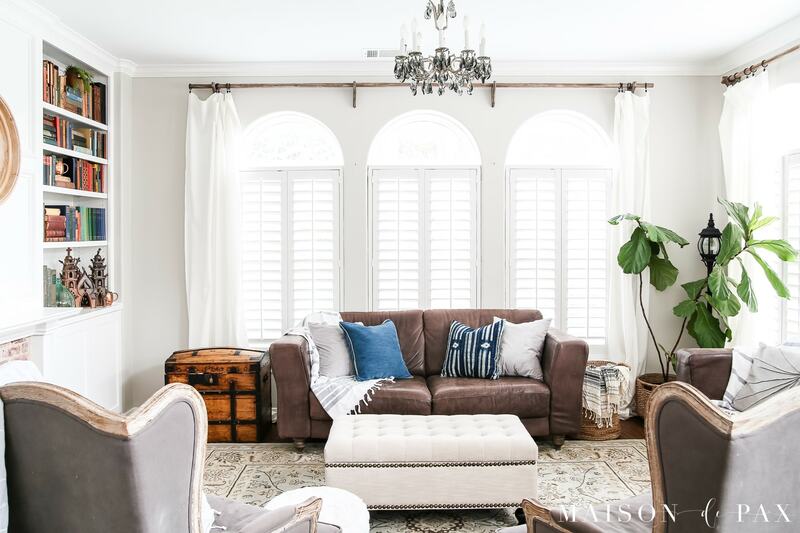 Get my best tips for transitioning from winter whites to neutrals, blues, and greens for a spring living room. My three year old has developed a recent obsession with writing. She sits at the kitchen table while I cook and asks me to spell words like “alligator” and “Nana” so she can write them down. A few days ago, she asked me to spell “window,” and when I began, she asked how to write a “w.” So I told her to start at the top and go down-up-down-up… And she was so very proud of herself when a “w” emerged. I’d like to apply that same principle today. 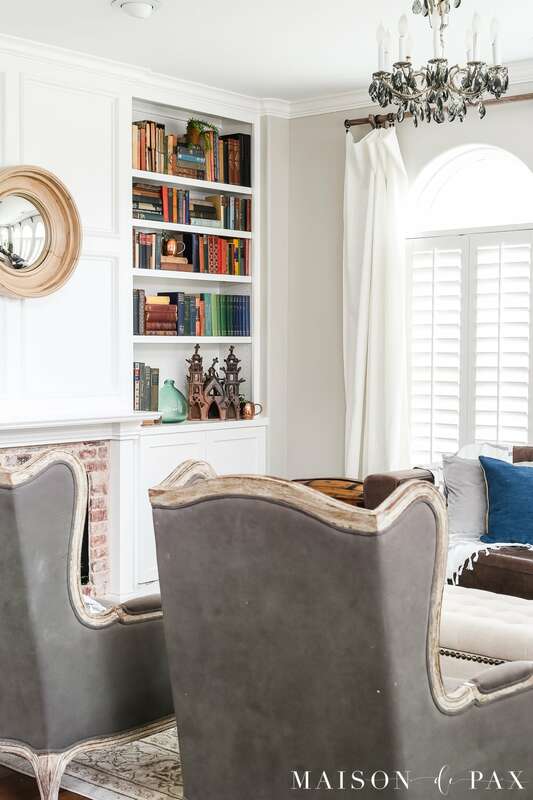 Readers often compliment me on a seasonally decorated home while confessing that they aren’t sure how to even start doing it themselves. 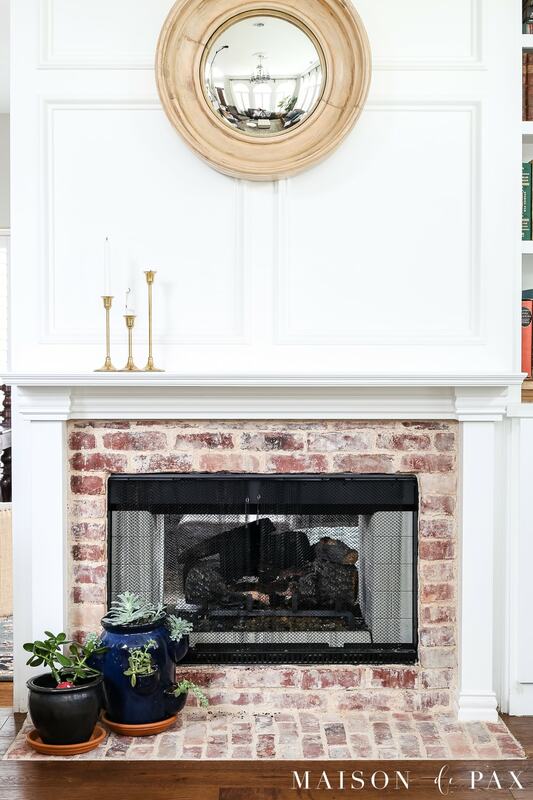 So I was thrilled when Jennifer from Town and Country Living invited me to join in on this Simple Spring Styling Tour… The whole idea is to show a process of how we decorated our spaces for spring. If you are one of those people who loves the idea but isn’t sure where to start, this post is for you. But let’s start at the very beginning… I’m going to go out on a limb here and share a little video I put together documenting how I transitioned our living room from winter to spring. Consider it meta-decorating: a sort of stream-of-consciousness editorial as I decorated our space this year. Before I share it, though, I should say that I like to keep my spring decor pretty subtle: you won’t find any bunnies or eggs or even any cut flowers in this space. Not that there’s anything wrong with those things; they just aren’t the direction I was heading this time. I wanted to give the space a little more color and lighter touches while still keeping it feeling undecorated, if that makes any sense. If you enjoyed that, you can subscribe to my YouTube channel here. 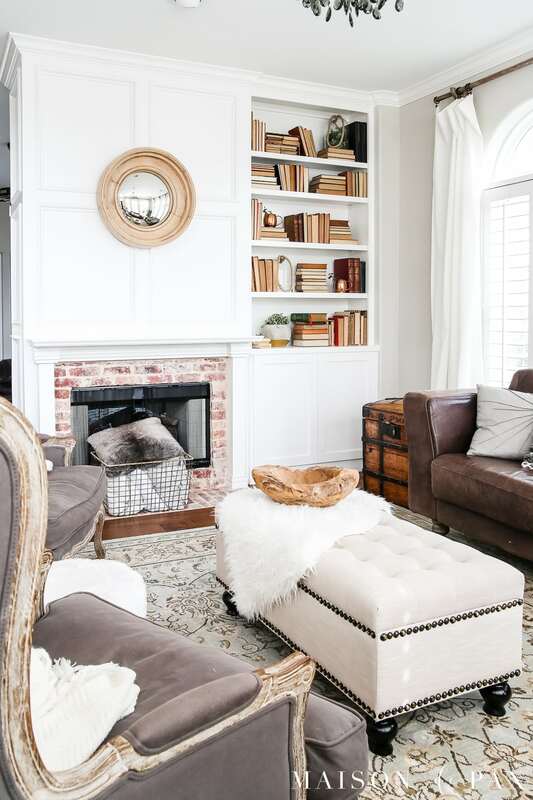 This is how the living room began: winter whites and lots of warm textures like fur and wool weaves. 1. 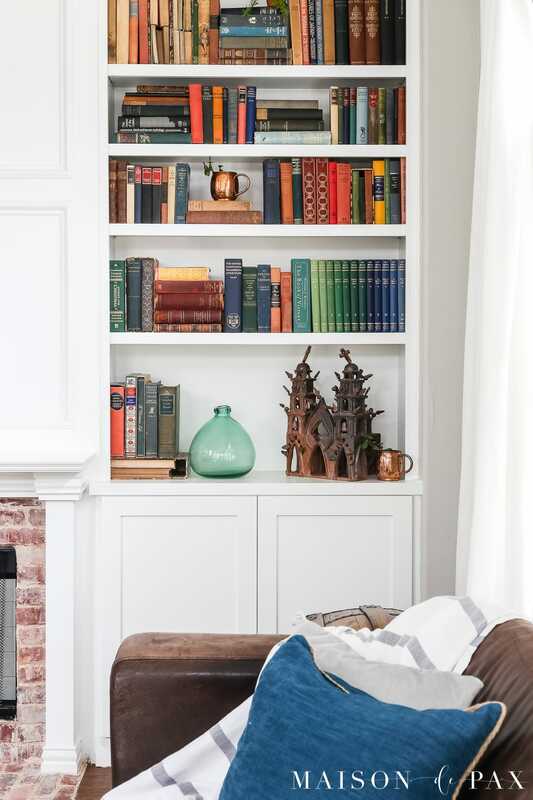 Refresh bookcases, adding seasonal color. 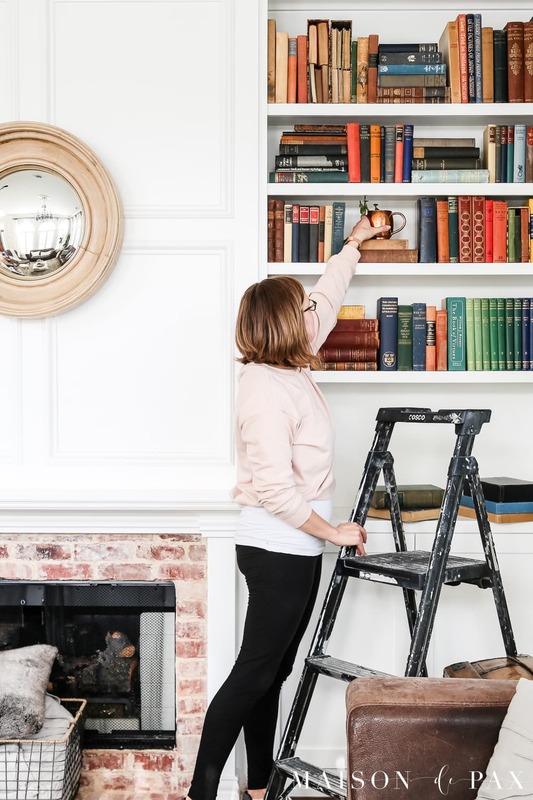 Redecorating bookcases or bookshelves is not something I do every season, but it can be the easiest way to refresh the look of a space. 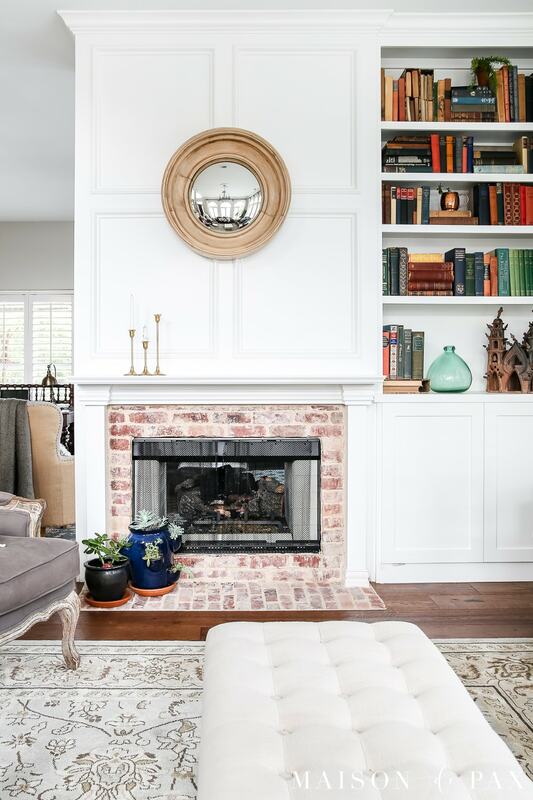 Even if you don’t rearrange completely, adding a focal color or using new pieces (like this family heirloom I brought in) can draw attention and set the tone in a space. 2. Bring in potted plants. I love using unexpected containers, like these old copper mugs, for potted plants. And much longer lasting than cut flowers, potted succulents and greens bring spring to your space all season long! 3. Use faux greenery in hard-to-reach spots. I added an adorable little potted plant to the top shelf of my bookcase. Up there, a faux stem from the local craft store is perfect because it requires no care. 4. Trade warm blankets for lightweight throws. I love these gray and white striped turkish towels I have; they almost always make an appearance in spring and summer in our home. Their lightweight cotton weave is perfect for the warmer months. 5. Layer with pillows in seasonal colors. I am a blue girl generally, so adding some pops of blue pillows and trading out some winter whites for true whites was just enough change to satisfy my tastes. You may notice that our ottoman is completely bare this year. Why? Because our 9-month-old pulls everything off of it. I think it’s important to serve your family with your decor, not the other way around. I want our home to feel comfortable and welcoming to everyone, and spring touches can add to that, but too much can take away, too. I would like to think that I struck an appropriate balance for our home. And the balance for your home may be different… so do what works for you. I hope you found this helpful! And if you have more questions about how to decorate seasonally without going to too much trouble, please don’t hesitate to ask. And pin it for later reference! Now be sure to visit the other gals who are sharing their spring decorating process with you today! 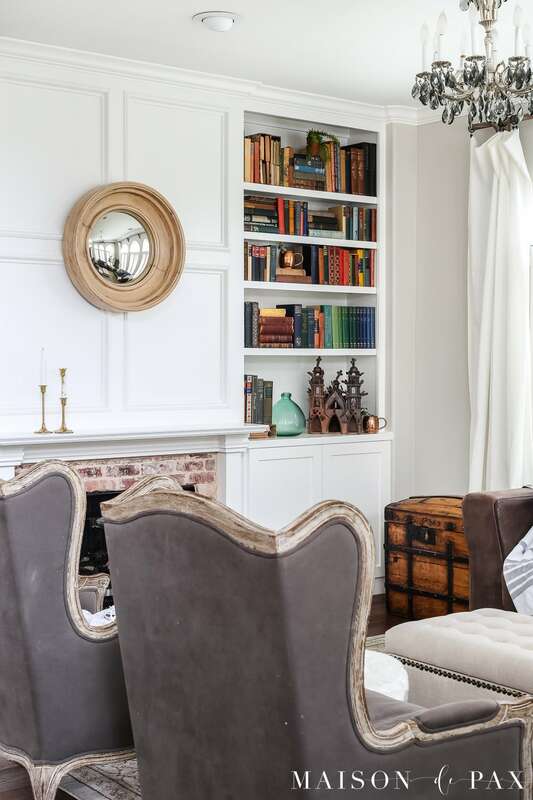 Love the bookcase – what a difference turning books around can make! Happy Spring! It does feel dramatic! Thanks, Kelly! 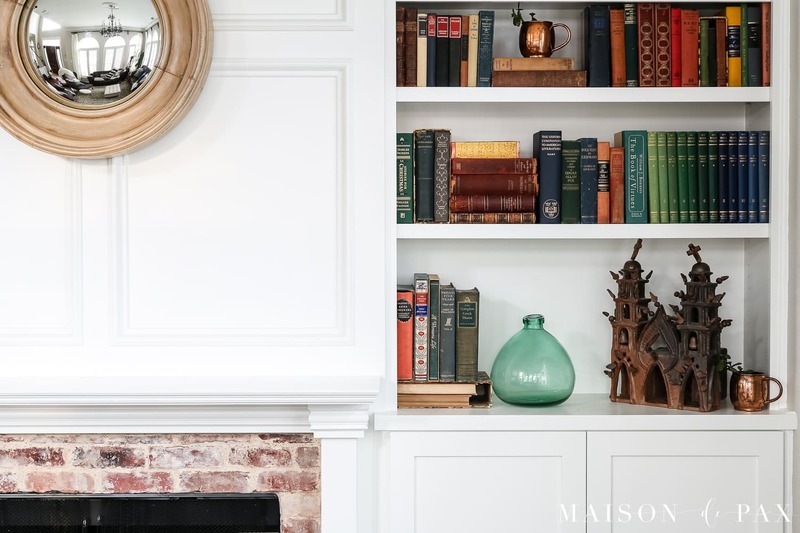 Love a great bookshelf redo and your always captures my eyes! 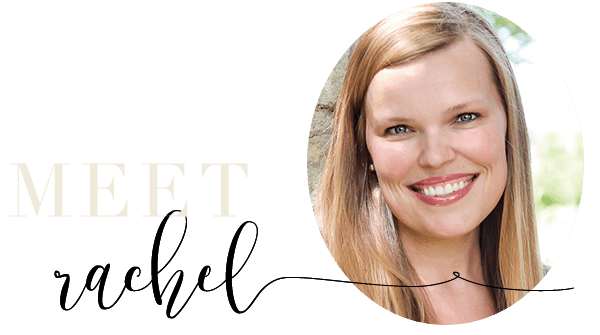 Love your living room, Rachel! The video was a great idea. You look so comfortable on camera. And your baby is 9 months already? That’s such a fun age. Thanks so much for being on the tour!! Thanks Jennifer! And yes, she’s growing so fast! You are so sweet! Thanks, Norma! Lovely spring decor ideas! 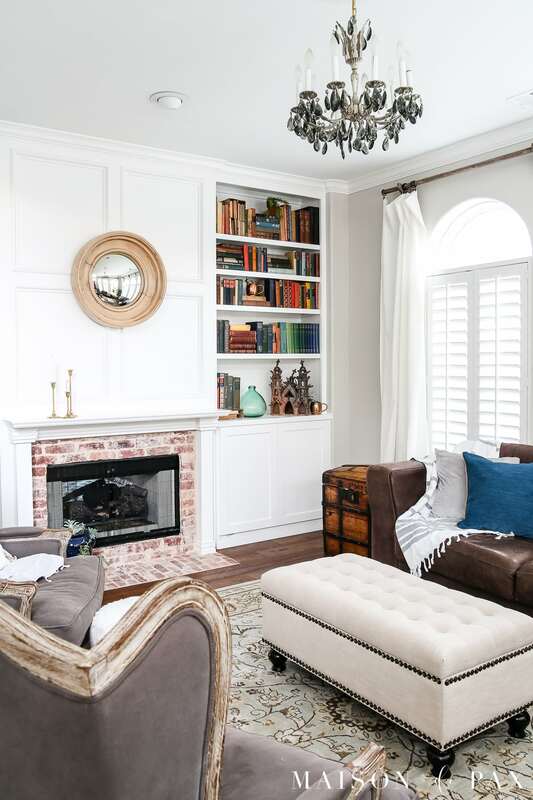 I am thinking to redecorate my living room, i will surely try out these tips. Thanks for sharing! 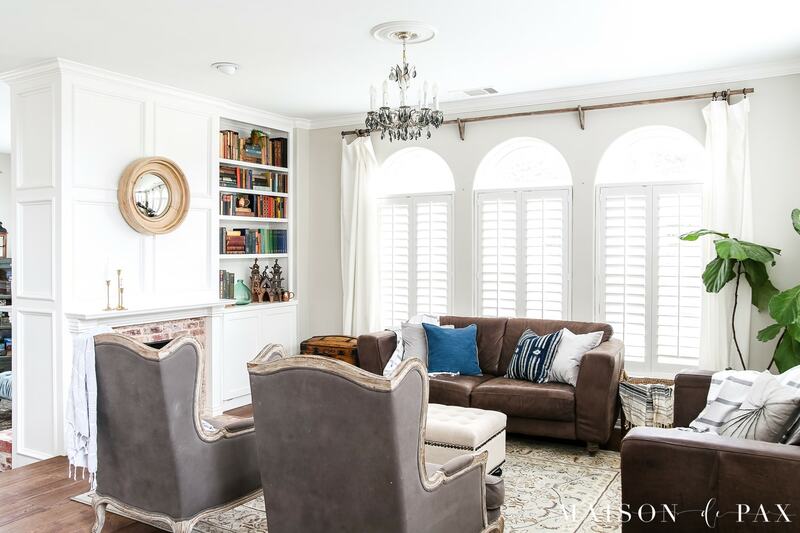 Your video was perfect, I loved how you showed balance and symmetry – beautiful spring decor, stunning home! The room has such a peaceful vibe! I’m decorating a 1939 Tudor home that I just purchased and I am overwhelmed by projects! I really appreciate all of your tutorials as I’m going to pick one room at a time and start slowly! Could you tell me where I can find the chandelier? It’s just so pretty! Thank you!! I am wanting my home to have that spring feel as well. Thanks for sharing that you don’t use bunnies or eggs to illustrate it is spring time. I will need to find home decor that has more of that subtle feel as you described. My home looks beautiful right now, but it does need to be a little more bright and decorated. Lovely spring decor ideas! 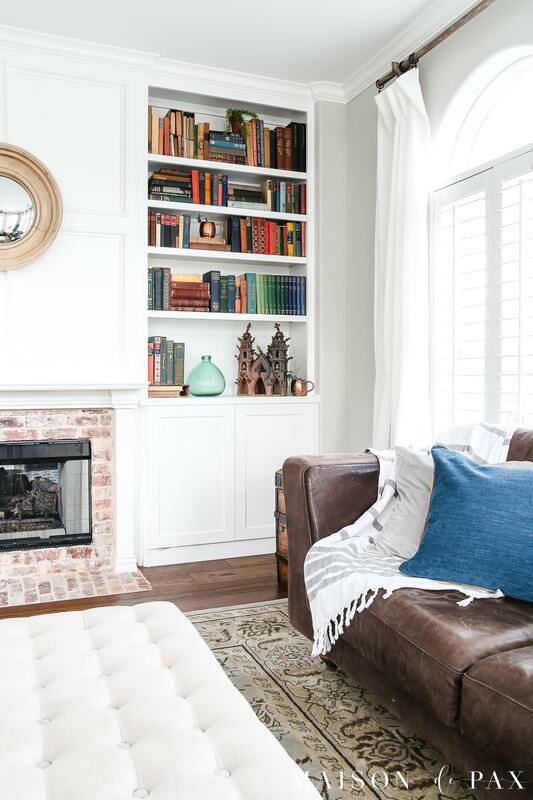 I am thinking to redecorate my living room, I will surely try out these tips. Some of the best home decor ideas. Some of them were unique and so beautiful. The Video you shared is also very interesting. Thank you for sharing this great post. Keep poasting.